The front desk workers at the Limelight check in a guest in 2015. Advanced reservations were strong for western resort destinations as of Oct. 31 despite a lack of early season snow. No early snow? No problem for western U.S. ski resorts. Advanced reservations for November through May are up 6.6 percent and revenues are up 13.3 percent compared to the same time last year at 19 mountain destinations tracked by DestiMetrics, a Denver research firm. Its clients include Aspen Snowmass. Occupancy is currently showing increases in five of the six months of winter. The heart of ski season — December, January and February — are all showing occupancy and revenue increases from last season, according to the report. DestiMetrics noted that warm, dry weather in October throughout the West didn’t deter people from booking trips. The pace was 4 percent better than last year for bookings made during the month. Garrison said “positive snow equity” from last season is helping drive early bookings. Many people who hit the slopes last season experienced good snow conditions, so that made them more confident in a good return trip. Western mountain destination resorts are “well-positioned for another very good start to the season,” Garrison concluded in DestiMetric’s report. 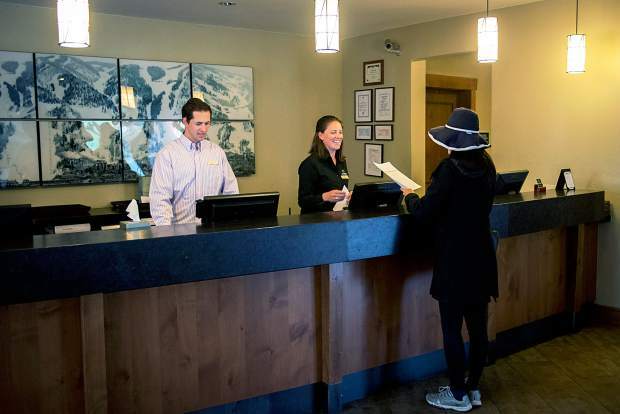 Bill Tomcich, president of Stay Aspen Snowmass, a central reservations business, reported that paid occupancies for November are pacing ahead of last year at Aspen and Snowmass Village. Like DestiMetrics, he reported that lack of pre-season snow hasn’t scared off prospective customers. Indian Summer came to an abrupt half and snow started falling Thursday, a week before the scheduled start of ski season. Colder temperatures give a renewed hope that enough snowmaking can occur to complement whatever natural falls to allow some terrain to open. Aspen Skiing Co. reported Thursday that a Thanksgiving Day opening for Aspen Mountain was unlikely given the snow conditions (see related story on page A1).